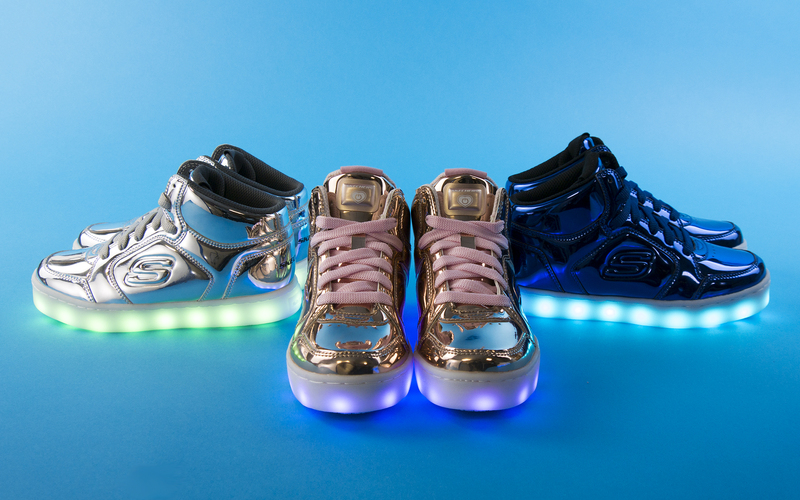 Our Energy Lights rechargeable shoes have been a huge hit this year – our kids’ styles have flown off the shelves since they launched, and now they’re available for adults as well! Everyone loves wearable technology, and these sneakers have so many light combinations (seven unique lights, four different modes and up to six hours on a single charge) that the world can’t get enough of them. Plus, they’re so easy to charge and go – Energy Lights even come with their own USB cable! 1. LIFT FLAPS – Right behind each sneaker’s tongue is Energy Lights’ charging port – just flip up the tongue flap cover, and you’re ready for charging. 2. 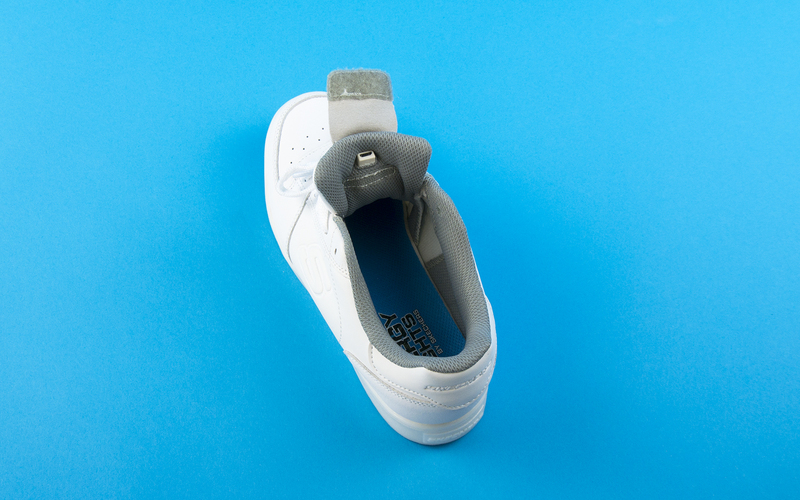 INSERT CABLES – Energy Lights have a dual cable so you can charge both shoes simultaneously. Just insert the cables into the ports on each shoe (make sure to push the end of the USB firmly into the port, so that the shoe will properly charge). 3. PLUG IN – Connect the other side of the cable to a computer, or a USB plug adapter if you have one. Once the cable is properly connected, the lights on the sole will flash red when it’s charging. 4. UNPLUG AND GO – It’ll take approximately two hours for your Energy Lights to fully charge – the red lights on the sole will turn off once they’re done charging. Make sure to unplug the cables when done (don’t overcharge or leave plugged in overnight). Once you’re done wearing your Energy Lights, you can hold the power button on your tongue down for three seconds to turn them off. Still need to get a pair? You can find them here. Leave your Energy Lights questions for us in the comments! Hi, I bought a pair of Boys Energy Lights but there was no dual cable to charge them. Do you sell replacement cables? Hi Suzanne! Please contact customer service at socialmedia@skechers.com so that they can assist you 🙂 have a great weekend! Can I buy a replacement cable to charge energy lights shoes? Hi Mackenzie, Sorry to hear about this situation. 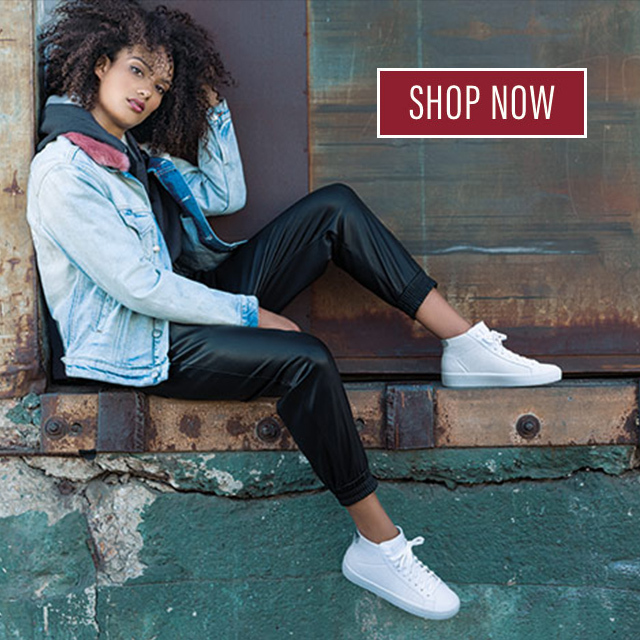 In the event you’re unable to return the item to the place of purchase, please email detailed information to customersocial@skechers.com so that we can connect you with a customer service specialist who may further assist you. Thanks! I bought my son a pair of the boys Energy Lights while on vacation a week ago and any time I try to charge them the red lights don’t flash like the directions say they will, and when he turns them on they only last about an hour before the battery is dead again! I’m not sure what I’m doing wrong. I’ve tried charging them numerous times! Getting frustrated! Katie, we have returned 2 pairs because of similar. The right shoe, now on 2 pairs only stays lit for maybe an hour before it’s dead or won’t turn on at all. When charging the lights seem weak compared to the other. We are hoping the 3rd time is the charm but VERY frustrating. We have never had to return skechers. Practically the only shoe we wear is skechers so it was surprising. I will give kudos to the store managers who were super helpful (we had to go to a second store to get another pair the second time since they didn’t have his size. First shoe happened within 2 weeks. Second pair, 2 days. Perplexed! specialist who can further assist you with this? Thanks! One of my daughter’s shoes is no longer charging after 1 week of wearing them. This same thing happened to my son’s shoes, which he bought with his own birthday money. The right shoe doesn’t blink red any more as it’s charging, and the lights don’t work on the same shoe. Now he doesn’t even want to wear them because only one shoe lights up! He’s been saving his money to buy these shoes for months and he’s had them one week and they don’t work! Hi Marissa, Sorry to hear about this situation. In the event you’re unable to return the item to the place of purchase, please email detailed information to customersocial@skechers.com so that we can connect you with a customer service specialist who may further assist you. Thanks! I bought a pair last night and the light stopped lighting up half of the shoe within 24 hours. Hi Nikki! We’re sorry to hear about this, please email socialmedia@skechers.com and customer service will assist you. I bought a pair of this for my son who was super excited to get them and after about a week 1 shoe won’t charge! Hi Tony! We’re sorry to hear about this, please email socialmedia@skechers.com and customer service can assist you. My daughter got a pair of sketcher energyblights for her birthday a couple months ago. Only 1 of the shoes will charge. For the cost of the shoes and the length of time we have had them I am disappointed that one of them doesn’t work. Any suggestions on how to fix this? My sketchers energy light shoes didn’t come with a charging cable! Hi Jane. So sorry to hear about that. Please email socialmedia@skechers.com so that customer service can assist you. Hello I bought a girl energy lights rose gold and I haven’t even worn it 4 times and I bought it like a week ago and one of the shoes charge and it only happened this morning because last week I wore them and they worked perfectly so one doesen’t charge . I have a pair of girl’s rose gold energy lights and when I plugged them in the lights did not start flashing. I am not sure if that is bad. Hi Jesse, please email us at socialmedia@skechers.com and customer service will try to help. Thanks! Hi Jeff, the rechargeable battery of the Energy Lights is located inside the translucent midsole. It is a standard toy or watch-style rechargeable battery, there is no risk at all from the battery or the lights – these are tested to the same standards as children’s toys for safety. Hi Cath, Sorry to hear about this situation. Do you mind emailing socialmedia@skechers.com so we can connect you with a customer service agent who can look into this? Thanks! Just a few weeks ago, we bought a pair on clearance from our local Skechers outlet for our son. They are awesome shoes!! But now, only the front half is lighting up on the left shoe. Any suggestions? Hi Gary, Sorry to hear about this. Do you mind emailing socialmedia@skechers.com so we can connect you with a customer service agent who can look into this? Thanks! Hi Phoebe, Sorry to hear about this situation. Please email detailed information to socialmedia@skechers.com so we can connect you with a customer service agent who can further assist you with this. Thanks! I cant find any info on the battery type im just concerned about my daughter having shoes with batteries that contain lithium that will engulf in flames if they are accidentally cracked open and exposed to oxygen. Why is not my shoes is not charging ? One of my shoes how can it charge my shoe died for ages how many hours do I do ? Thank you for reaching out! Sorry to hear about this situation. Please email detailed information to customersocial@skechers.com so we can connect you with a customer service specialist who may further assist you with this matter. Hi, The product description indicates these are rechargeable but there is no where to plug in (and no plug). We got a toddler size…. but the description says nothing about these being different. If these do no recharge, they’re useless as they arrived dead. Hi Leslie, Sorry to hear about this situation. Please email detailed information to customersocial@skechers.com so we can connect you with a customer service specialist who may further review this matter. Thanks!